This year I promised myself that I would buy no more fabric until I use some of what I already have and finish up projects that have been on to get done list. There are amendments to this. 1. I can buy fabric if it is needed for a project I need to finish. 2. I can add new projects to this list if they are essential. That’s when I found robot and space ship fleece on crazy sale. My brain said “Sam you don’t need this.” My heart chimed in and said “yes, you do.” My brain tried to respond, but my hands declared it was love at first touch. 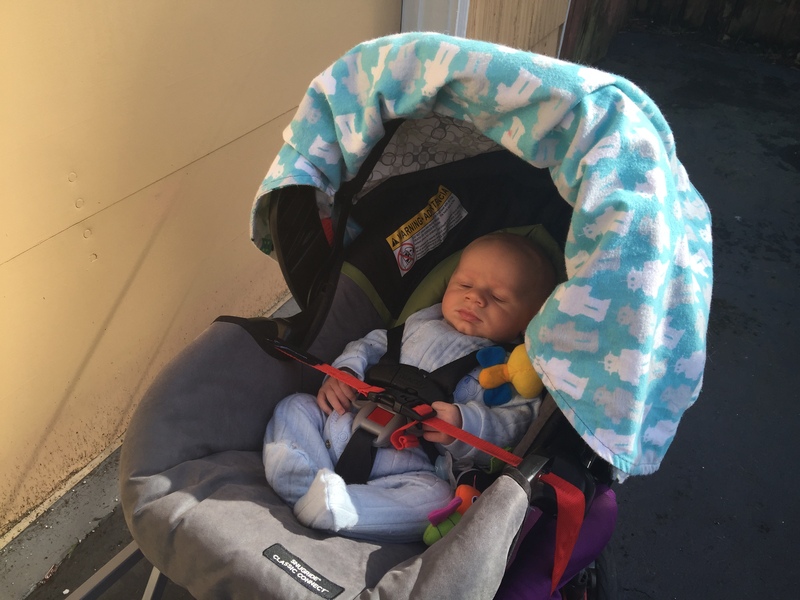 That’s when my brain rationalized that I was having a baby in January and he would need a car seat cover to keep him warm. That would justify amendment two on my list and since I didn’t have any fabric at home for this project amendment one was covered. This was also the day amendment three was born: I can buy fabric when it is on crazy good sale. 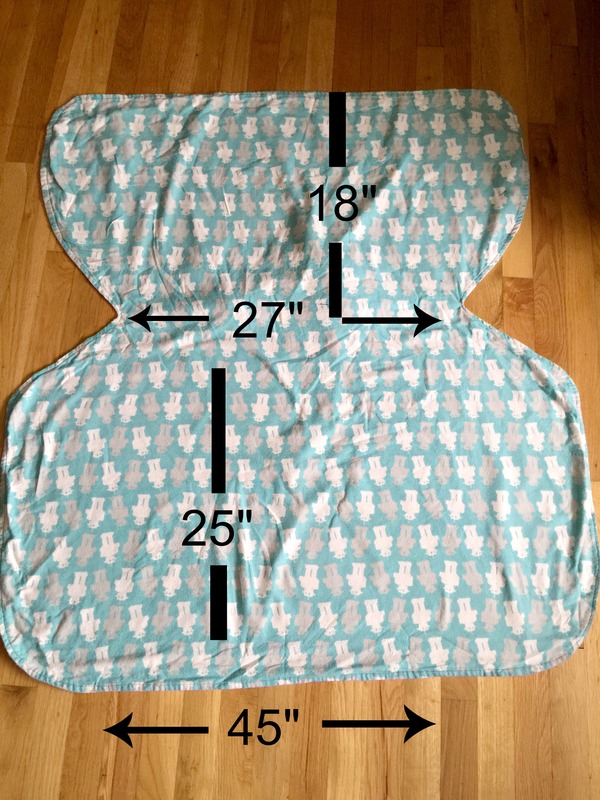 Making the car seat canopy was really easy and doesn’t need a pattern. Mostly I took a few measurements and went to town with the succors. Folding the fabric in half lengthwise I cut out a pattern like the one pictured below. Please excuse the wrinkles. I’m fighting an uphill battle against a cat, a newborn, and a kindergartener (all of whom are “helping” me) as I photograph this. Using left over fabric cut out four rectangles that measure 3”x 4” from both the fabrics. Place the right side of the fabric together, sew around the edge leaving a 5” hole, and flip right side out. Placing same sides of the fabric together sew the straps together leaving a small hole, flip right side out, and finish sewing. On the top make two slits the size of your straps about 5” apart. Insert 1/2” of the straps into the hole and sew in place. Sew the hole on the cover shut. Sew the velcro on the straps and bam, you’re done. Changes I would make: I made the straps a bit too long for my taste and a bit too far apart. 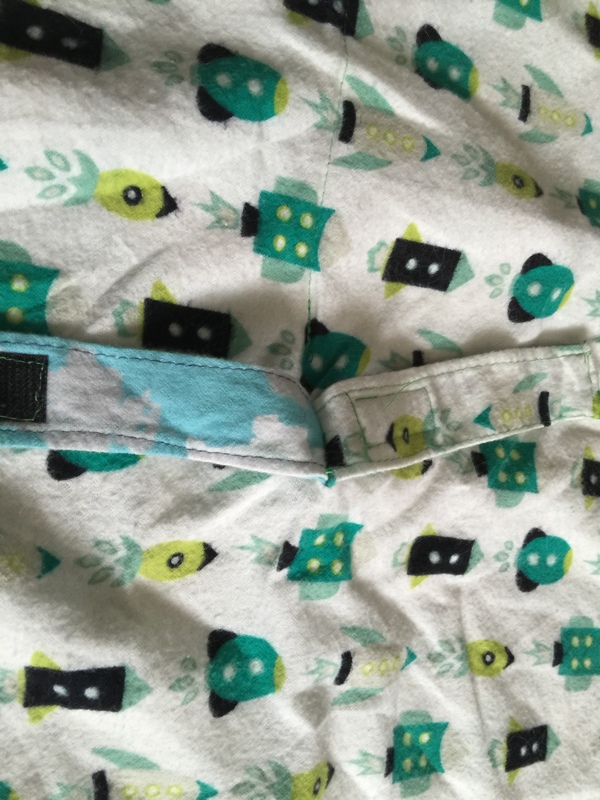 I would recommend making the straps longer, but cut them down to the appreciate length after seeing where the straps sit on the handle of your carseat and how wide it is. I also set the straps 7” apart and would prefer them about an closer. Bam. 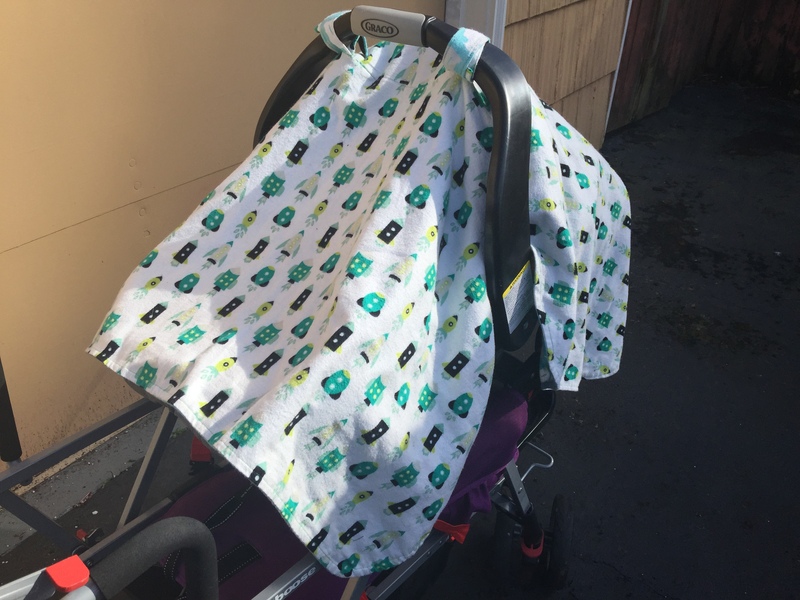 A simple car seat canopy in less then a hour. Next postWhat Exactly Is Dystopia?